Around noon on both Fridays and Saturdays this lovely couple comes down our street. 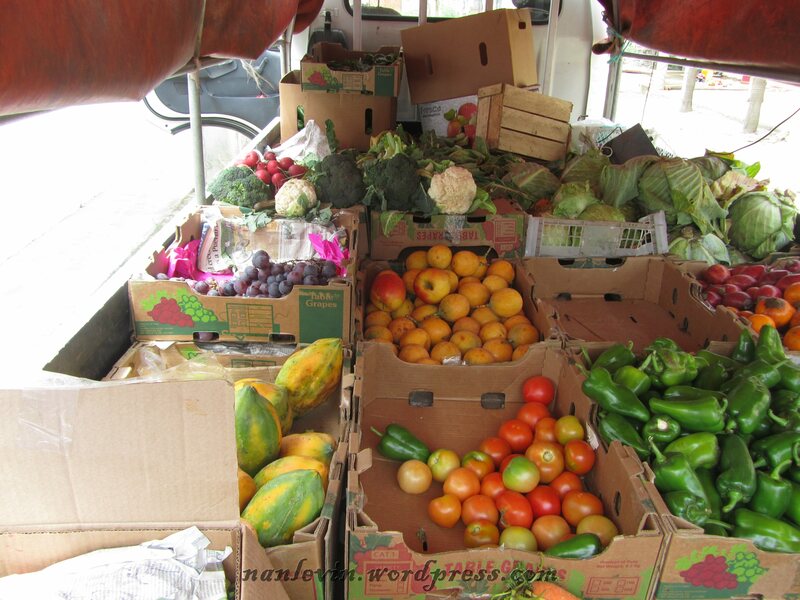 They have a good variety of fruits and vegetables which varies depending upon what they can find in season. 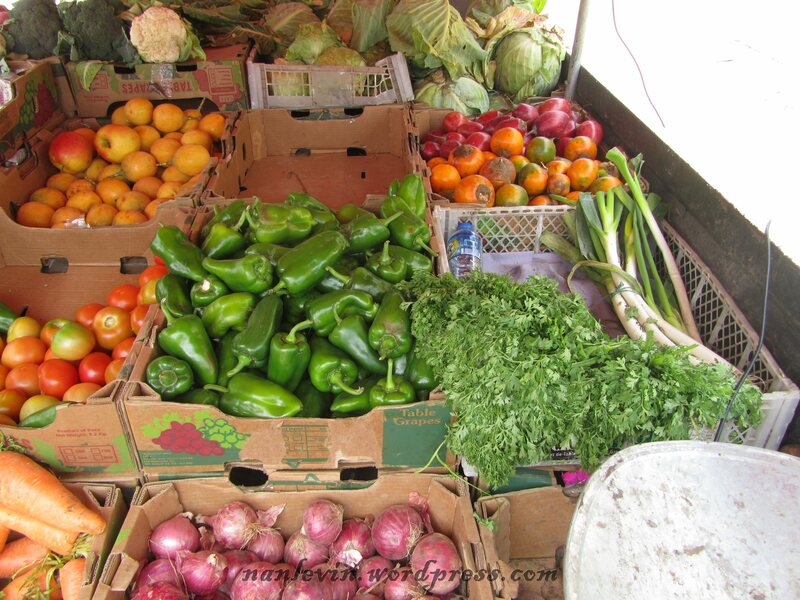 Both on Friday and Saturday they had grapes, strawberries, two varieties of apples, pears, tomatoes, carrots, potatoes, beets, cauliflower, lemons, peas, mandarina, radishes, red onions, spring onions, broccoli, cilantro, cabbage, iceberg lettuce, tree tomatoes, garlic and green peppers. Last week they had dragon fruit, two types of grapes, chard just to name a few of their many items. 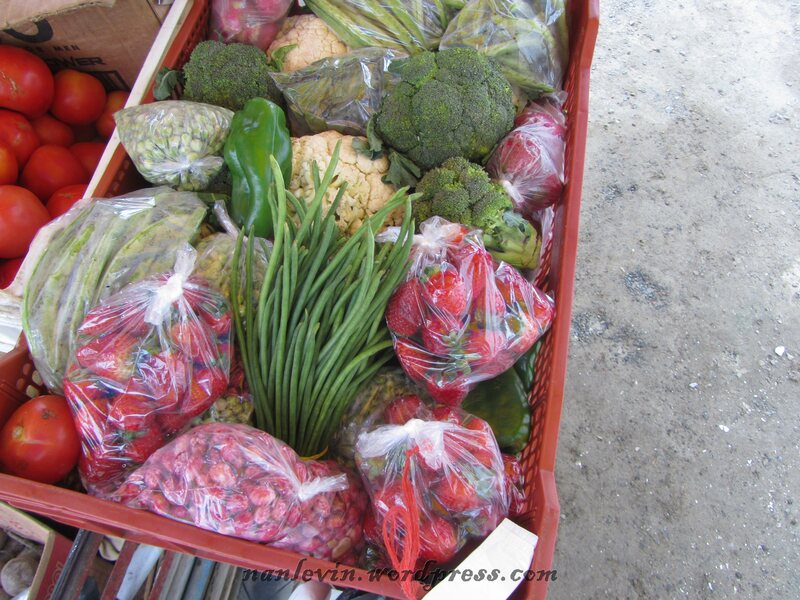 There produce is fresh and of very good quality. 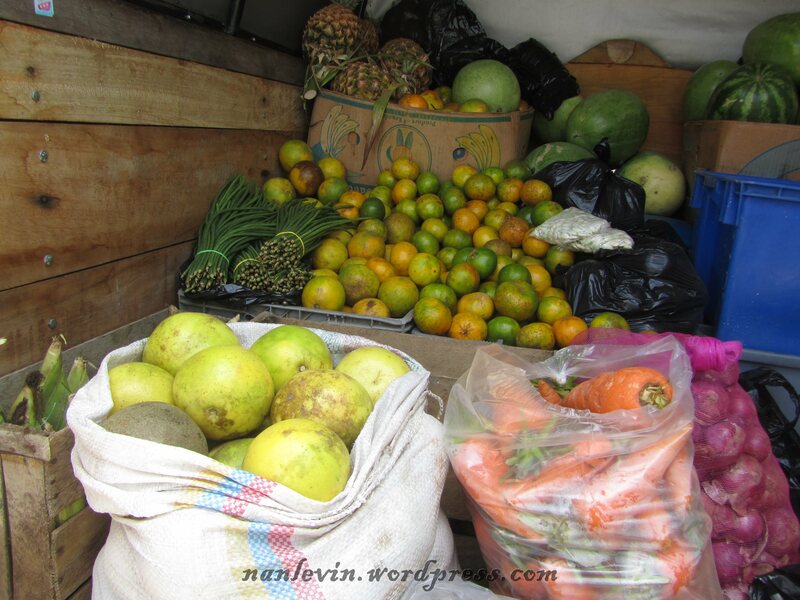 On Tuesdays and Thursdays in the early afternoon this truck comes by with a variety of items. 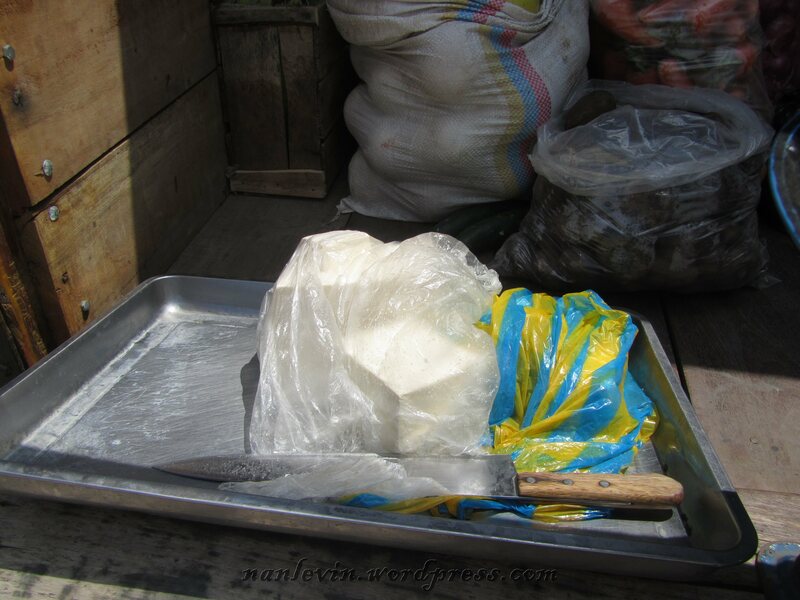 They are mostly known for their fresh cheese, butter and peanut products. 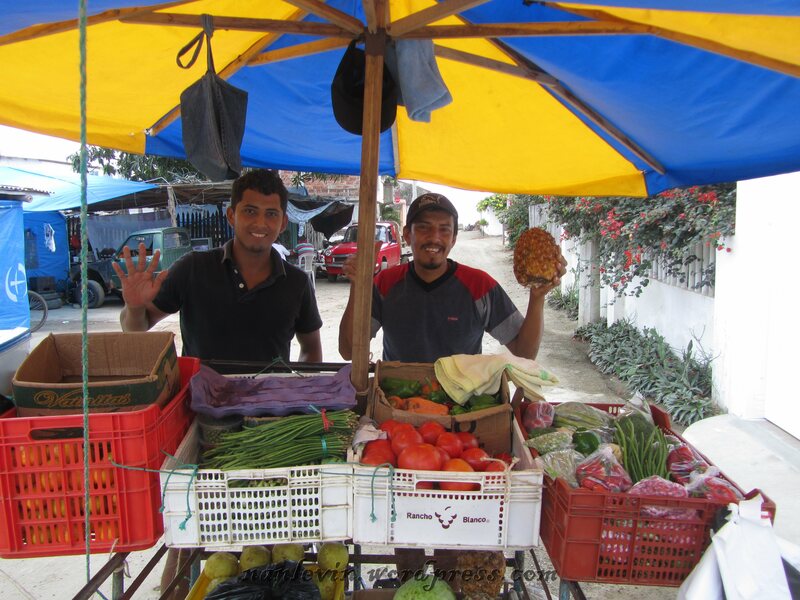 Everyday at around noon Gonzalo (on the right in the photo below) and his brother Christian come by the house with their cart filled with great fresh produce. These guys are great! Gonzalo has four boys with the last just starting preschool a few weeks ago. And mommy is Paola who is also as sweet a person as you will ever find. They tease me about broccoli which is my least favorite vegetable and bring me bunches of fresh acelga (chard) each week. 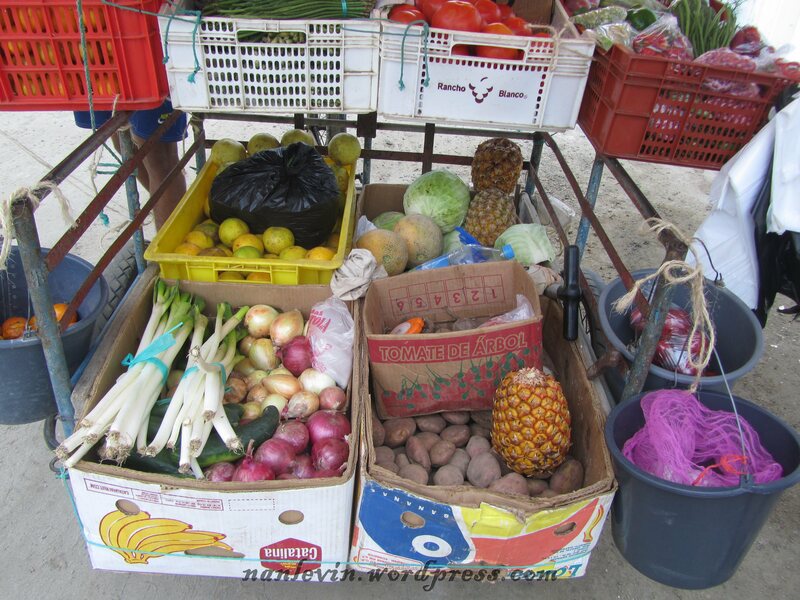 When Joe and I were researching moving to Panama we looked at every picture we could find on the internet that showed the food items that were available. 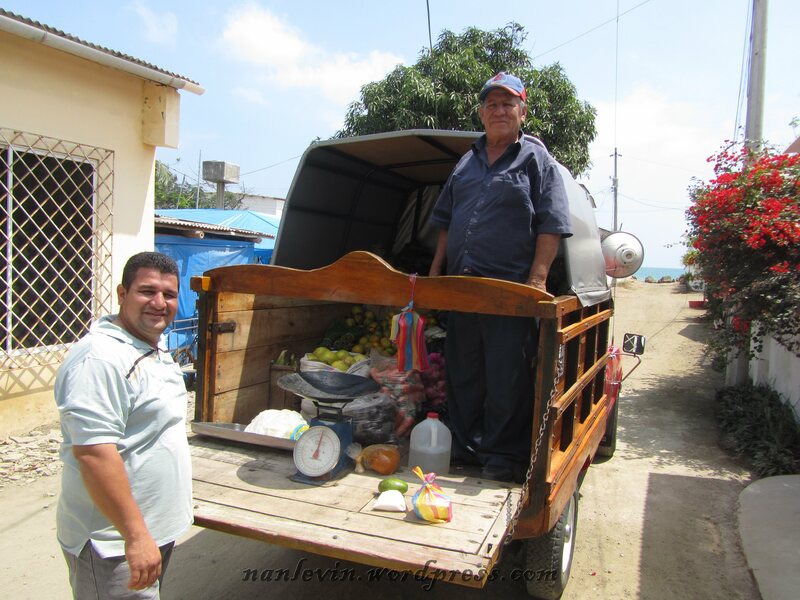 See the pictures below for close up pictures of what Gonzalo sells. 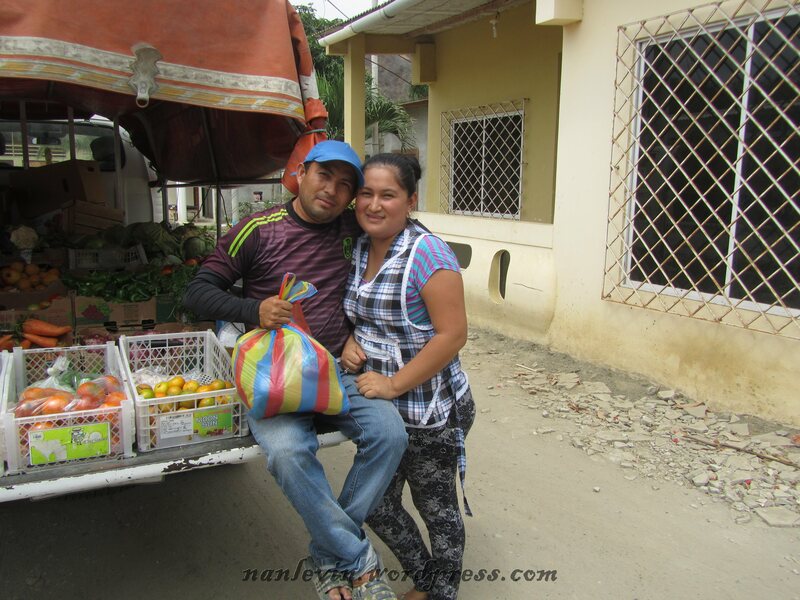 His produce varies each day but most days you can find potatoes, red onions, scallions, cucumbers, beets, cabbage, mandarin oranges, juice oranges, pineapple, cantaloupe, other melons in season, watermelon, tree tomato and naranjilla. Some days he will have both the choclo and the yellow corn along with a green vegetable that they stuff with cheese and bake. Fresh mora berries, green peas, peanut butter, sal piedra, crushed peanuts, tamarind, garlic, white onions, long beans and green beans. 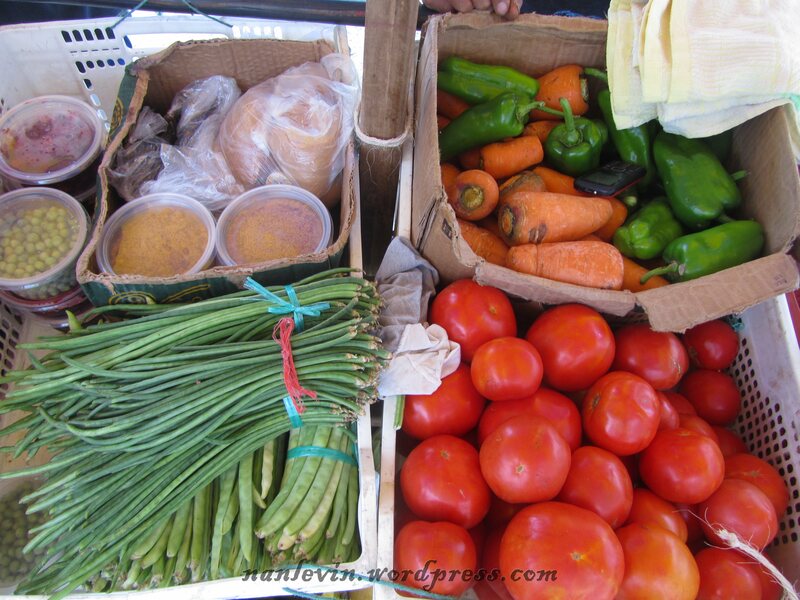 Tomatoes, green peppers and carrots are also available. Today he had strawberries, fresh red beans, cilantro, cauliflower, broccoli and radishes. I did see lettuce and white cabbage somewhere in the cart as well. 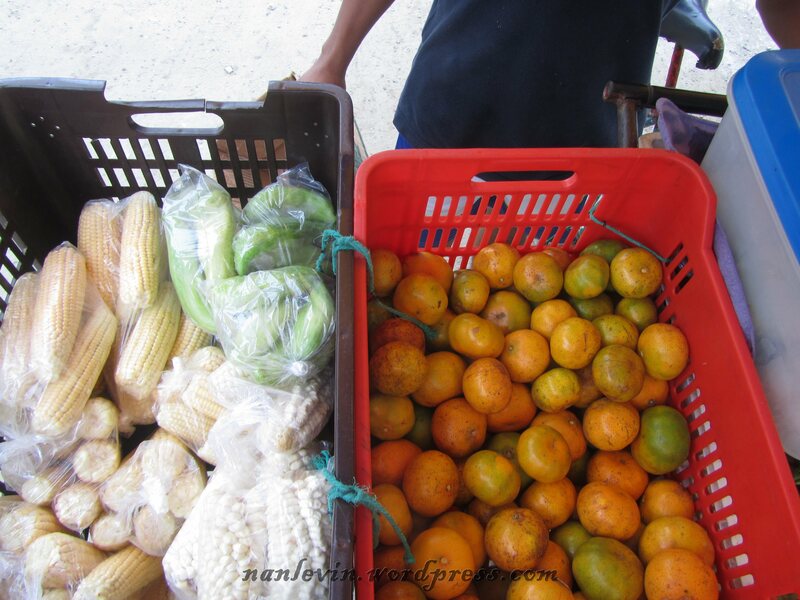 He also carries raisins, other fruits in season, grapefruit, apples, hot peppers, fresh peanuts, watermelon, yucca, the purple sweet potatoes they call camote, celery and bok choy called nabo here. 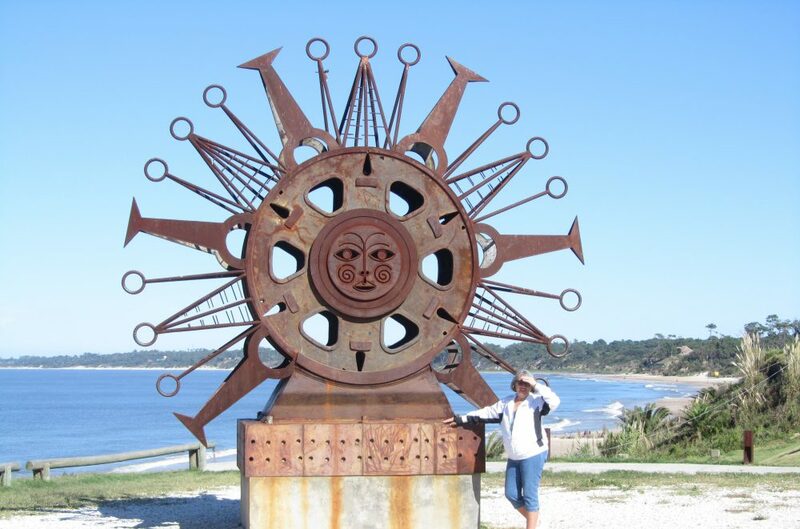 And if you do not see what you want, ask and he may even be able to get it for you in the next several days. 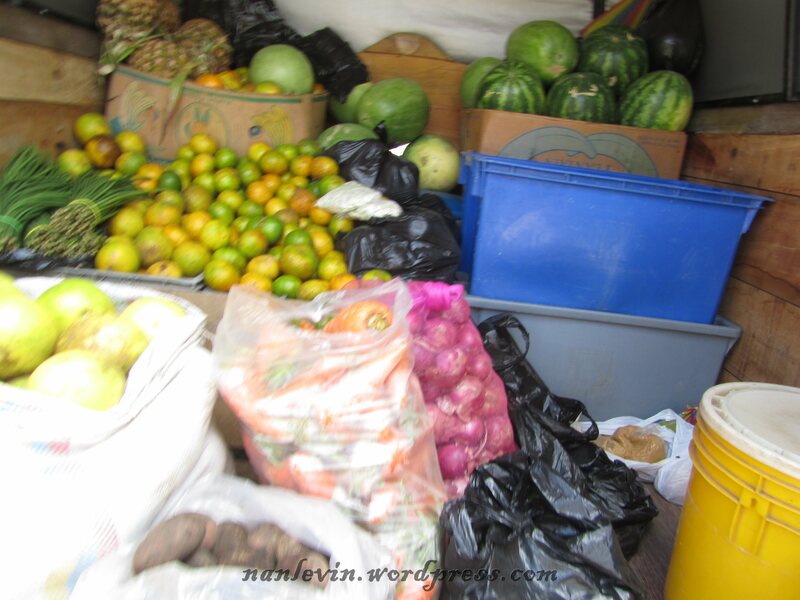 I depend upon Gonzalo for most of my fresh fruits and veggies. 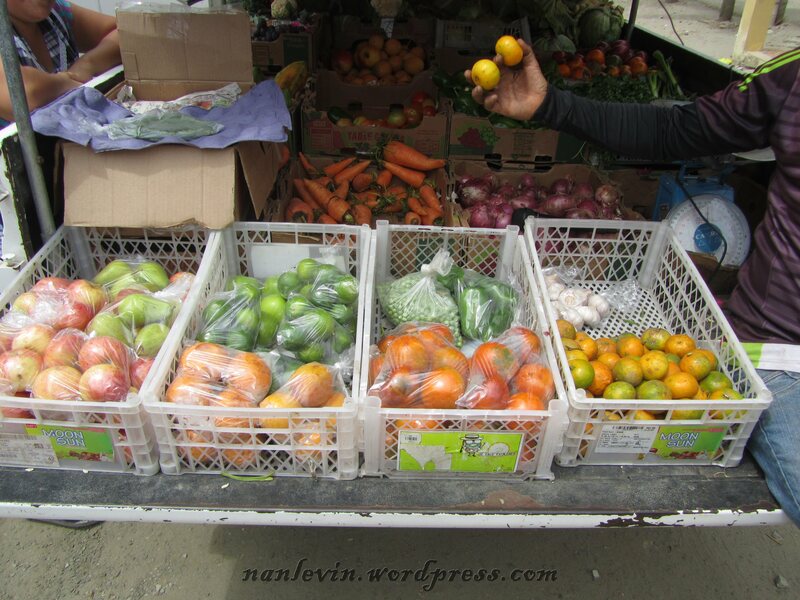 His produce is fresh, reasonably priced and he always has a smile on his face. 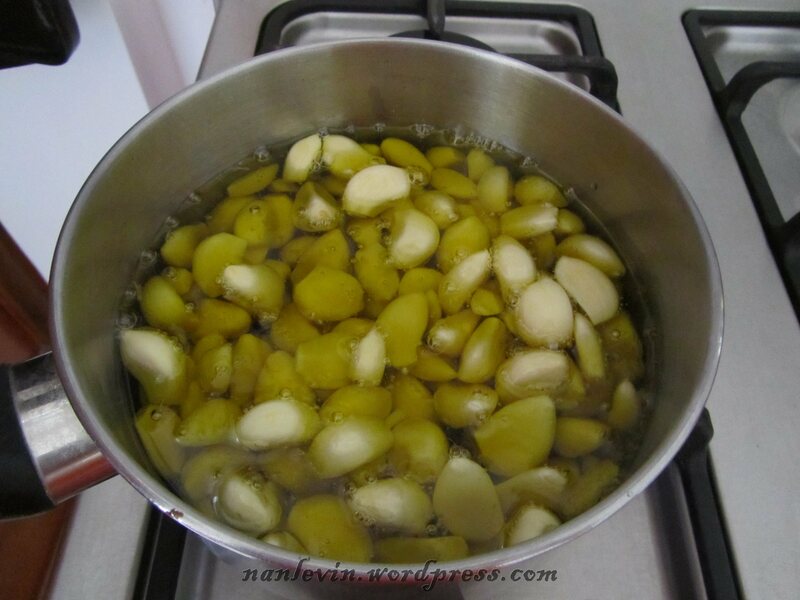 It is a very easy process, clean your garlic and put it in a pot with good olive oil, cook very slowly for around one hour. Do not allow the oil to boil just a very low heat is required. It’s ready to eat, plus the olive oil is infused with the great garlic flavor. 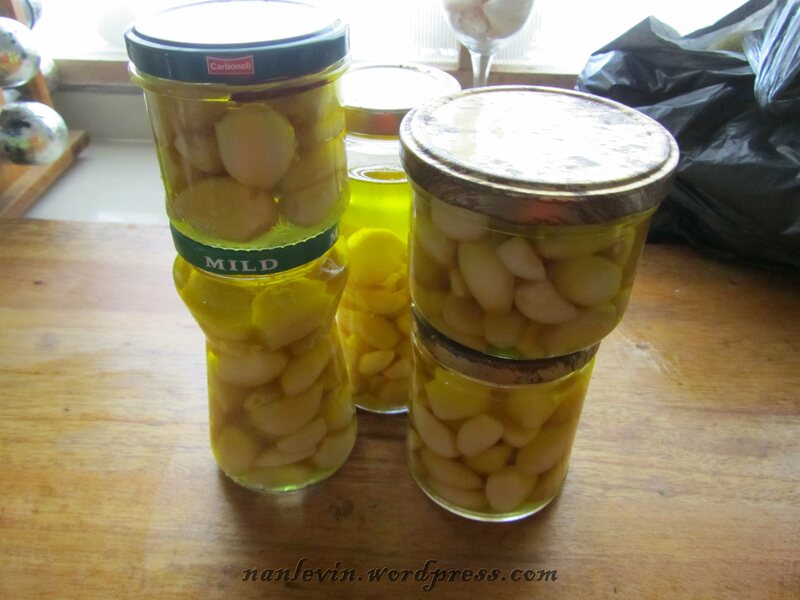 The garlic itself is spreadable soft and if you want to infuse it with every more flavor drop in a few peppercorns, a dried hot chili or your fresh herbs from the garden. We tried it out this evening on slices of apple and Tilsit cheese. What a great combination, it was smooth as butter with a very delicate flavor. I did add a sprinkle of salt and pepper just for good measure. 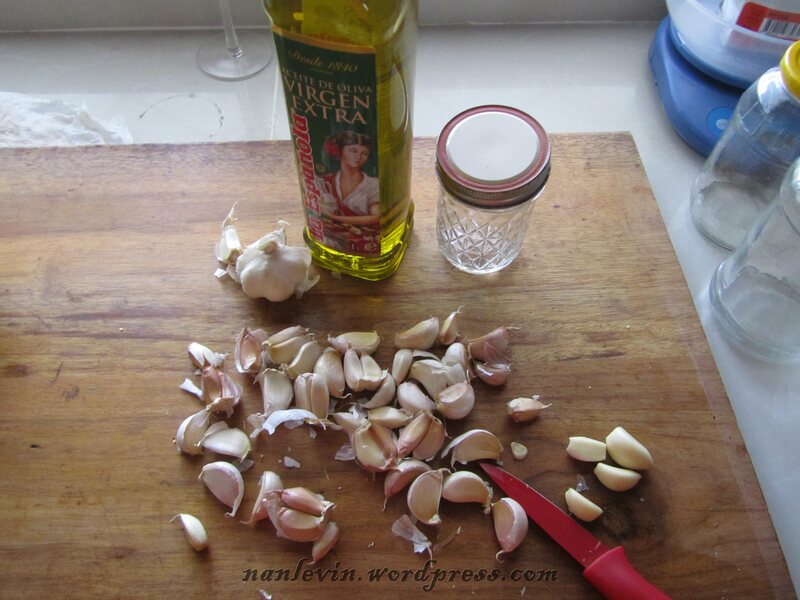 Remember to use the best quality olive oil you can find and the freshest garlic and you will not be disappointed. Cooking for scratch and creating imaginative dishes has definitely changed how we view food, eating and shopping.